Visit Kruja, the medieval chief-town of Albania. 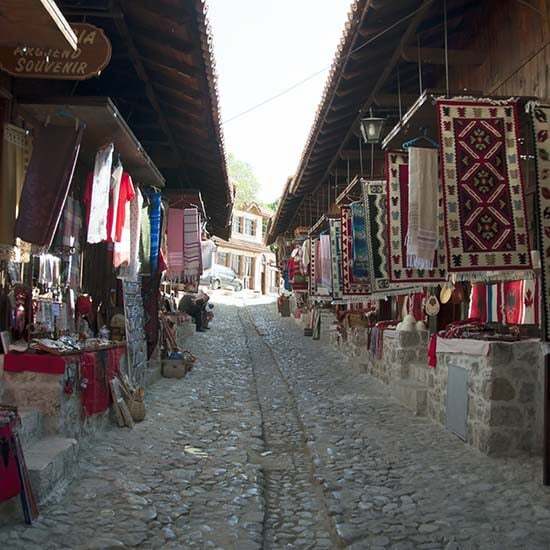 Find the best souvenirs in the Bazaar of Kruja. 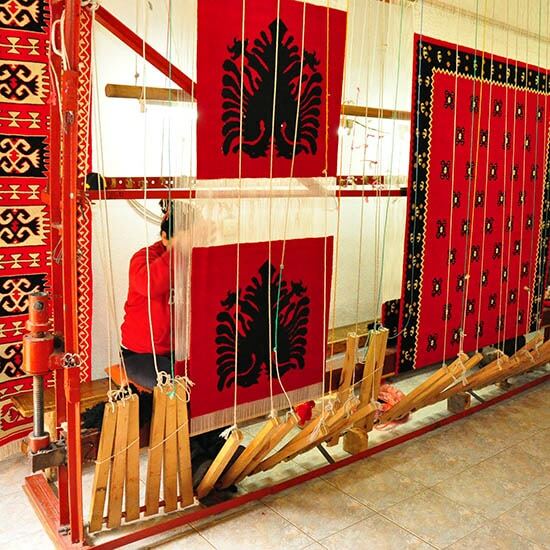 Visit Tirana, the capital city of Albania, as the beating heart of Albania. We will pick you up at Scanderbeg Square in Tirana, 8:30 am, and drive you up to Kruja town, where you’ll experience a step back in medieval history by visiting the castle and Scanderbeg Museum. Kruja was the most important town for the Albanians during the 15th century which withstood successfully to at least 3 major sieges by the Ottoman Empire. The medieval hero Gjergj Kastrioti called “Scanderbeg” is considered not only by Albanians as a symbol of resistance and savior but also by ottomans who believed that a supernatural force dwelled in him. Therefore after his death they destroyed his tomb and took parts of his bones to keep them as a charm for good luck. Walk in the Old Bazaar full of old shops that sell traditional handmade items. Next will drive you to Tirana, the capital of Albania. As you walk around the Scanderbeg square, you’ll see an interesting complex of building which reflect the periods that have influenced Tirana’s architecture. Only the Clock Tower and Et’hem Bey Mosque remain as reminders of the city’s Ottoman past. The communist government left its own footprint by destroying the Ottoman Bazaar and building the new Opera and Ballet House on the site. The next stop on the itinerary is Et’hem Bey Mosque, where you’ll learn about the difficulties faced by the clergy especially after 1967 when freedom of religious expression was prohibited. The mosque was built in 1821 by Et’hem Bey in a typical Turkish style. Continue to King’s Palace and National Martyrs Boulevard. Here you’ll get to know a piece of daily life of former dictator Enver Hoxha, by visiting the pyramid, meant to be a museum for his life and the “Bllok” zone where he and other communist leaders lived in. The area that was once prohibited for people is now the most favorite neighborhood for young people, businesses and coffee shops. In the end, around 3:30 pm, we will take you back to Scanderbeg square, in the center of Tirana city, where we started our day and here your wonderful tour is over.